The College buses operate as a not for profit service available to families wishing to avail themselves of them. 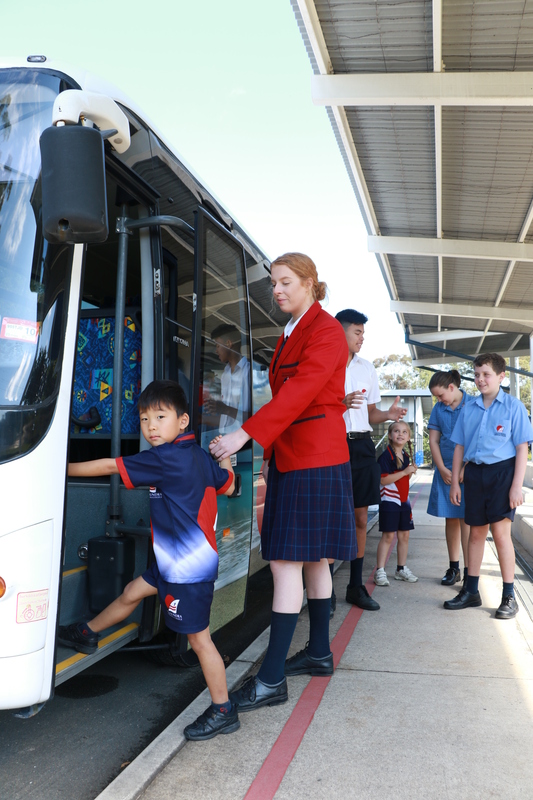 The College operates a number of school buses, servicing the local Caloundra community as well as an area stretching from Landsborough through to Mooloolaba and Chancellor Park. Buses arrive at the College by 8:15am and depart for home at 3:05pm. Bus fares are charged per term and are added to your College account. Fares vary according to the zone and number of students within the family who are traveling. For more information and an application form, please contact our Bus Coordinator on 07 5436 6777. Download our Bus Application Information Pack here.